The Slip on Sneaker // We are seeing this “mom approved” shoe pop up everywhere. From embellished to clean this is the type of shoe we could wear every day! The Mule // The perfectly effortless shoe is the newest update to the ballet flat. This silhouette is being offered in so many different heel heights, textures, patterns, and fabrications – you really can’t go wrong. The Bootie // This style has been going strong for a few years now, but (like Madonna) each season it is being reinvented. This season we are seeing so many different iterations from studs to white to mid calf and slouchy silhouettes. For us, the tried and true simple block heel will always be a winner. Tall Boots // For those of you in colder weather (insert Zac Brown Band Song), the tall boot or mid calf boot is the perfect silhouette. I’d pair these with ponte leggings and cozy sweater and these with a mini dress and tights! Trend to Try // If you are interested in upping your shoe game, the easiest and most eye catching trend of the season is the RED shoe. This sultry shade has been offered in everything from sneakers to booties. 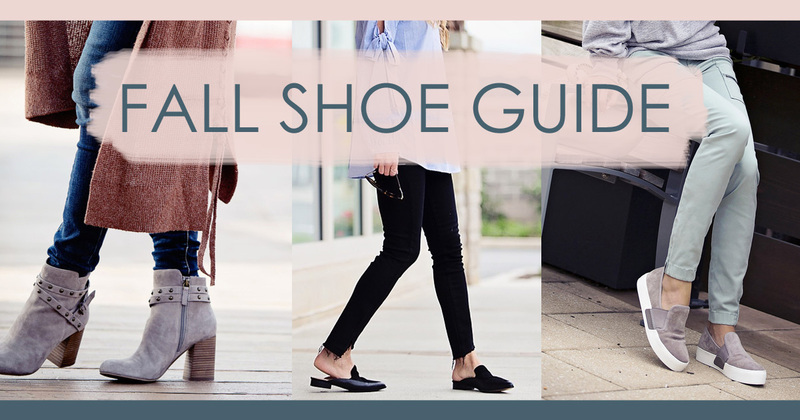 And lastly what would a shoe guide be without offering the ways to wear them. We put together some quick tips on matching our go to shoes with our favorite denim. How to wear Booties: Wear your bootie with skinny denim. 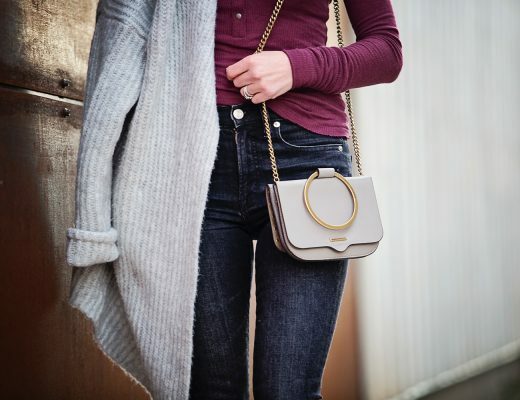 Skinnies look best with booties because the heel provides an elongated look to your legs. 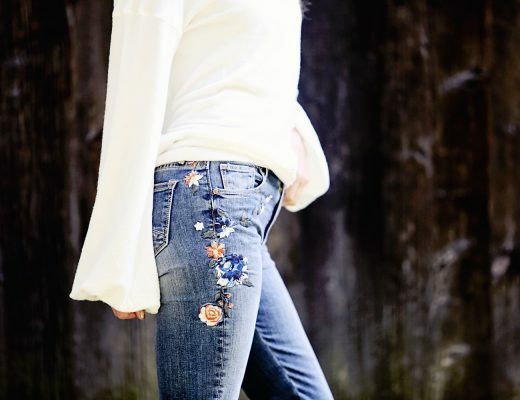 If you think your jeans are too long, give them a small cuff. 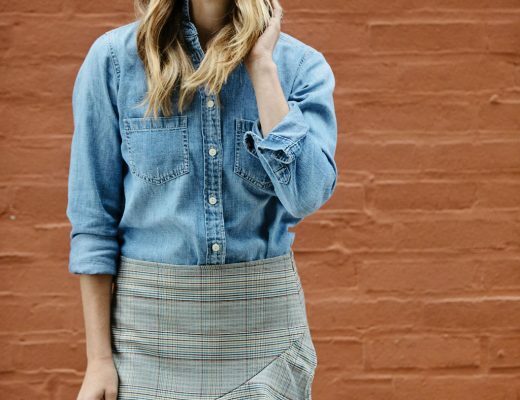 If you aren’t into the cuffed look, try folding them under, creating a clean hem look. 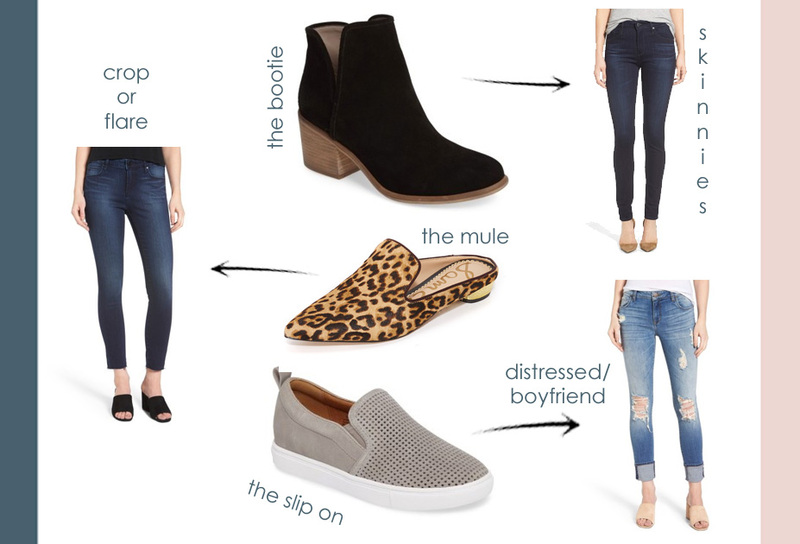 How to wear Mules: Wear your mules with crop or crop flare denim. This denim silhouette looks best with mules because it allows you to really show off the shoe. A little ankle goes a long way! How to wear Slip-on Sneakers: Wear your slip on sneaker with distressed denim in a straight or boyfriend fit. The combination of the sleek sneaker and a relaxed jean is the perfect pairing of cool and comfort. Great post!! I love how you talk about how to actually wear them, too. My favorite slip on sneakers right now are by Jslides. They have the most adorable sneakers with some fun details. Plus, they come in my small foot size – a 5! Have you heard of them? Nordstrom sells them. What are the best shoes to wear with leggings? I wear tall boots when it is colder, but wonder what works best when it is just starting to get cooler. Booties, flats, or slips ons? Thank you! Love you blog! I just bought the llama sneakers after seeing them here. Because LLAMAS!